Summer is the season for mangoes and jackfruits. 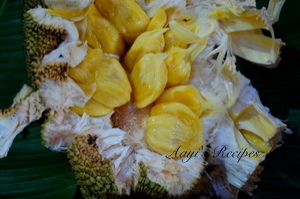 We have few trees of jackfruits which bear different varieties of jackfruit(panas). We use the leaves to make khotte, fresh tender unripe jackfruit to make chips, randayi etc. 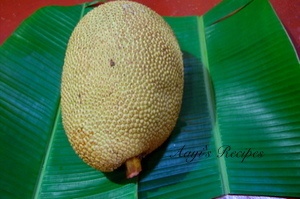 Ripe jackfruit is very sweet and one of the most loved fruits in our family. We have very fond memories of opening up a ripe fruit in the morning, the entire family gathering infront of it to enjoy it. We loved eating it first thing in the morning, on an empty stomach. It used to be the most cherished family time. Ripe jackfruit is also used to make a variety of dishes, one of which is bhakri. 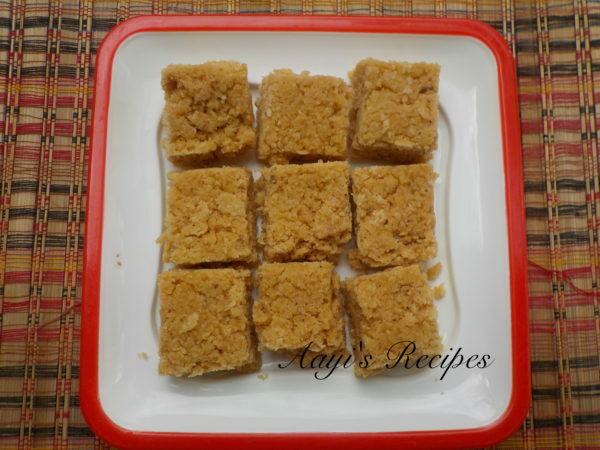 This jackfruit burfi is prepared with ripe sweet ones and makes great little snacks. Take out the jackfruit edible parts and make a paste. Cook the paste with sugar and then add coconut. Dry roast the coconut for few mins till it becomes dry. Then roughly grind it (without adding water) to make it into small pieces. 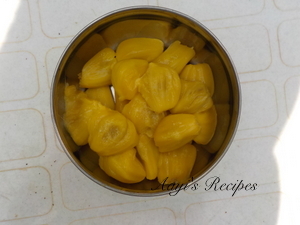 Make a paste of jackfruit pieces. 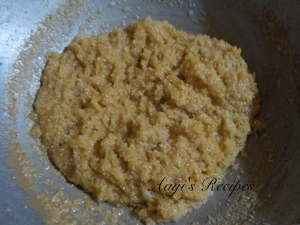 In a pan, take jackfruit paste, sugar and cook for few mins. 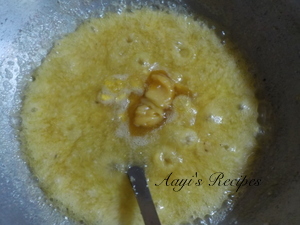 Add coconut, ghee and cook till it becomes thick paste and starts leaving the sides of pan. Take off the heat, mix cardamom powder. 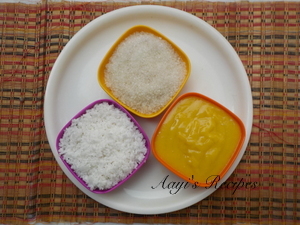 Apply ghee to a plate and spread the paste. Cut into desired shaped pieces. Store in airtight container after they are cooled down. This is simply awesome …. would love to try … how many days does this remain in airtight container ? Waaw,.. yummy,.. I love jack-fruit,.. I like jack Fruits and Burfi. But both combination was awesome. Surly i will try his item. 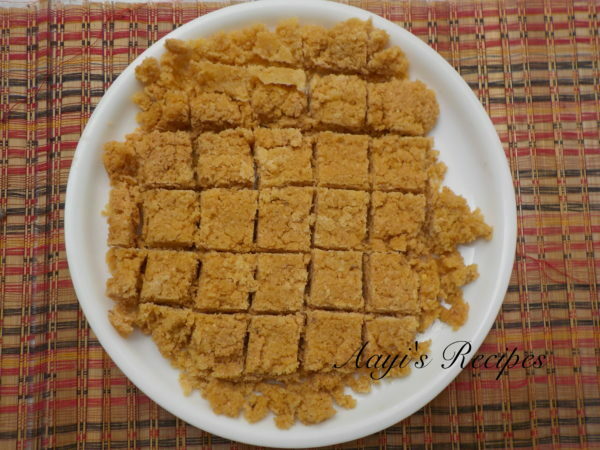 very easy, simple , quick to made recipe ! ill try it ! thanks for sharing ! I like jack Fruits and Burfi. In any case, both blend was marvelous. Surly i will attempt his thing. I like bufi and tried your recipe. It is so tasty. Thank you!